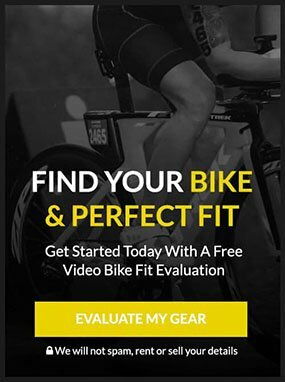 When working with clients 1-on-1 in our studio, or at one of the many locations we regularly visit throughout QLD and NSW, your Custom Bike Fit is delivered using the Retül 3D Motion capture system. Retül is the most advanced bicycle fitting system available today. The system incorporates an amazingly precise three-dimensional motion capture technology, immediate report capability, and millimeter-specific digitizing tool to provide the most accurate dynamic fitting solution in the industry. Bicycle fitting is best measured during dynamic pedaling action. Static measurements tell the fitter very little about how the rider’s body reacts and interacts in biomechanical motion. The Retül system reads the body in motion, in three dimensions. The Retül system eliminates the guesswork and assumptive nature of fitting, providing the fitter with the most accurate data set available in bike fitting. The result is that the rider will have a true fit to his or her bike, maximizing efficiency and performance while avoiding discomfort or injury. Every cyclist has unique biomechanics; therefore there are no generalizations that apply when truly fitting a rider to a bike. Purchasing a new bike can be both a fun and exciting experience, but riding a bike that is not properly fit can cause frustration, pain or injury, and ultimately causes the rider to put the bike in storage where it starts collecting dust. 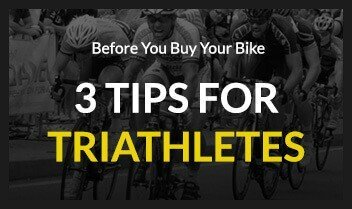 Perhaps you already own a bike and your position is not optimized, causing you to underperform. A proper bike fit not only will provide you with the most economic means of expending energy, but will also prevent pain that is common in the knee, hip, and lower back, particularly with riders who are trying to adapt their bodies to the bike they already have purchased. We would rather adapt a bike to the body you already have. There is a big difference between being sized for a bike and being fit for a bike. When it comes to the biomechanics of fitting a rider to his or her bike, little ‘tweaks’ can be very significant. 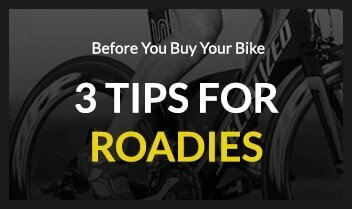 Our mission is to spread this message to all cyclists whether they are recreational or competitive, roadies or triathletes. Whether a rider is on an $800 commuter bike or $8,000 performance race machine, a proper bike fit is just as essential.